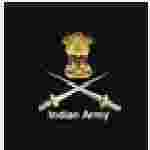 Indian Army Dental corps recruitment 2016-17 notification apply for 42 posts: Join Indian Army welcomes application for the position of male candidates for 42 short service commission (SSC) officer vacancies in Indian Army Dental Corps.Candidates who completed their BDS, MDS is a good opportunity.The individuals who are the occupation seekers searching for govt employments in India this is the best chance to apply. Competitors read the official notification then read all the guidelines and miners precisely then apply before the last date online application got. All the interested and eligible candidates can apply before 20th July 2016. Candidates Age Limit: The age of the candidate should not have attained the age of 45 years. The age of the applicant should be as on 31st December 2016. Academic qualification details: Candidates should have BDS / MDS from a college / university recognized by registered themselves as registered Dental practitioners with any state Dental council and applicants should have secured a mandatory minimum of 55% marks in final year BDS and completed one year compulsory rotatory internship. Details of Fee particulars: Candidates are need to pay application fee Rs 200/- through demand draft drawn from any national bank in the favor of Director General Armed forces medical services (APF Fund) payable at New Delhi. Process of applying for the job: Candidates may apply in prescribed application form along with self – addressed envelope (23 X 12 cm) with postal stamp affixed worth Rs 40/- and two passport size photograph and demand draft send to the Directorate General armed forces, medical services (DGAFMS / DENTAL-2), room no 25, L- block, ministry of Defence, New Delhi:- 110001 on or before 20th July 2016.